In a Nutshell: Over the course of the last century, the role of women in the global economy has steadily grown, with women today holding 30% of the total private wealth. With that growing wealth, however, comes growing responsibilities — including the responsibility women have to themselves to create their own financial security. 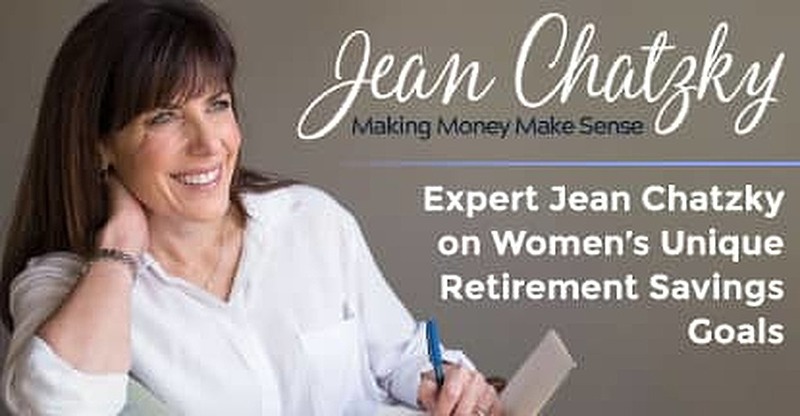 We talked to financial expert Jean Chatzky about how women can adapt to longer lives, a pay gap more akin to a chasm, and caring for their families so they can take greater control of their own financial security and reach their unique retirement savings goals for brighter financial futures. The history of women in the workforce is a long and tumultuous one, stretching back thousands of years to the vendors and hawkers of ancient markets. Despite those millennia of working side-by-side with men, however, the vast majority of the world’s wealth has always rested in men’s hands. Finally, however, it seems that times may be a-changin’ — at least, to a degree. New laws and greater educational opportunities over the last century have helped women take an increasingly more prominent role in the workforce — and claim an increasingly larger portion of the global wealth. Today, women hold roughly 30% of the total private wealth, a figure expected to increase to 32% by 2020. And that number is only going to grow over the decades to come. 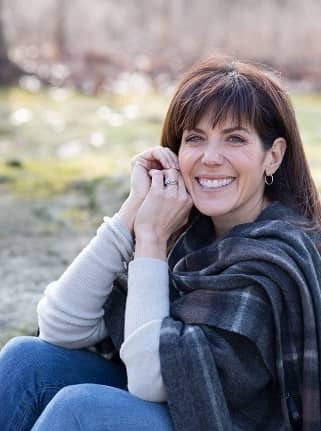 Jean Chatzky is a financial expert, financial editor for NBC’s TODAY show, best-selling author, and host of the HerMoney podcast. While not at lightning speed, the role of women in the global economy is undeniably growing, which unlocks a lot of opportunities — but poses a few challenges, as well. Perhaps chief among those challenges is the need for women to take control — many for the first time — over their own financial futures. “What I’ve found in my research is that women tend to have an underlying need for financial security,” said Jean Chatzky, financial expert and best-selling author of AgeProof: Living Longer Without Running Out of Money or Breaking a Hip. But although many modern women now have access to the same financial education resources as male workers, resources developed for men may hold less value to women, whose unique financial needs and goals often require a different approach. Of course, procedurally, building a financial portfolio as a woman is not inherently different than building one as a man. There are no his and hers stocks or bonds, and the basic methods for investing are the same no matter your gender. No, the real difference lies in the numbers. As a result, women not only need to save more money overall to accommodate longer lifespans, but they also need to do so while earning significantly less money than their male counterparts. While maintaining a 15% savings rate is more difficult when your time in the workforce is sporadic, you can adapt your savings to meet your employment levels by saving a little less during years you aren’t working, and saving more aggressively during years you are steadily earning. And don’t forget to take charge of your portfolio to ensure the savings you are putting away is actually working for you — not just the other way around. But that doesn’t mean cherry-picking stocks and hoping for big returns when your favorite designer launches an IPO. So, what should that mix look like? Chatzky says the same investment approach used by many male investors — to take on a higher risk level when you’re young and taper it as you age — holds true for female investors, as well. However, she warns against eliminating the risk entirely when you retire. 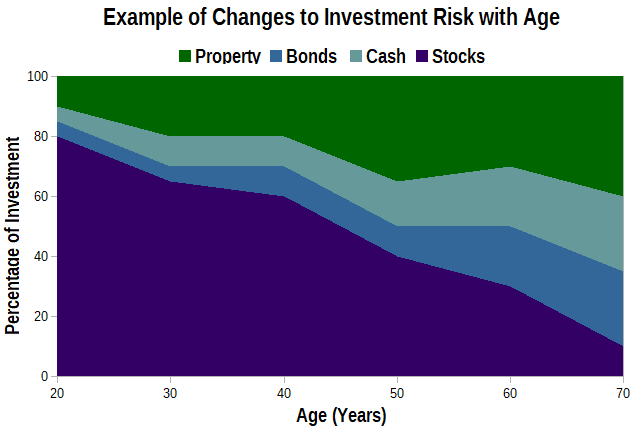 According to Chatzky, your risk levels should decrease as you age, but you shouldn’t eliminate your stock investments entirely in retirement. Chatzky also recommends taking additional steps to protect your income after retirement. But, where is the line? At what point does taking investment risks stop being a good idea? As Chatzky explains, there is no point in an investor’s life when he or she should shift from a riskier portfolio to one that eliminates that risk. Instead, she describes the process as a curve. And that doesn’t apply solely to your investments for retirement, but to any more individual, short-term investments, such as paying for your children’s education or purchasing property. The closer you get to your goal, the less risk you should take on. Although they may have come later to the game, all signs indicate that women actually tend to be better investors than men, with female investors out-earning males for most of the last decade. But that investing acumen can only take you so far; you also need to save. Luckily, today’s digital world is chock-full of tools to help consumers save, including a gluttony of mobile apps with something for nearly any budget and savings style. Some of Chatzky’s favorites? She recommends Digit and Acorns as great ways to save without a lot of active work, as both apps do your saving for you behind the scenes. When it comes to investing, Chatzky says, if you’re lucky enough to have a retirement plan at work, then your best bet is likely to use the tools offered by your plan’s provider to get on the right track. Even if you’re investing on your own, however, most investment platforms offer their own internal tools for tracking and optimizing your investments. And, you guessed it, there’s even an app for that, including Chatzky’s recommended Stash app that helps you start investing with just $5. Over the last 100 years, women’s roles and responsibilities have grown at a remarkable rate — but there’s still a long way to go. And along that journey, there are both opportunities and challenges. As women gain a greater foothold in the global economy — and amass a larger portion of the global wealth — they’ll need to learn to take charge of their own financial futures to build the financial security they need for healthy, happy lives. But they don’t have to do it alone. An abundance of resources are out there to help savers of all sexes learn to make the most of their money. 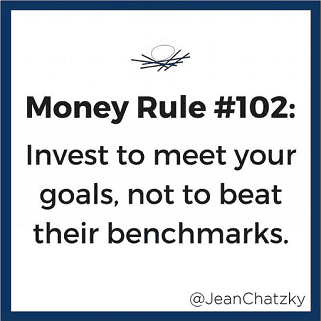 For example, you can check out Jean Chatzky’s website, HerMoney podcast, and best-selling books for more wisdom on saving, investing, and preparing for retirement. Chatzky has also recently acquired the popular women’s guide to money and business, DailyWorth.com, with the goal of continuing to grow the site’s community of financially savvy women.